Do you carry a firearm for self defense? Would you defend your life, the life of your spouse or child? How about that stranger that is being stabbed to death? There are numerous issues related to that last question. 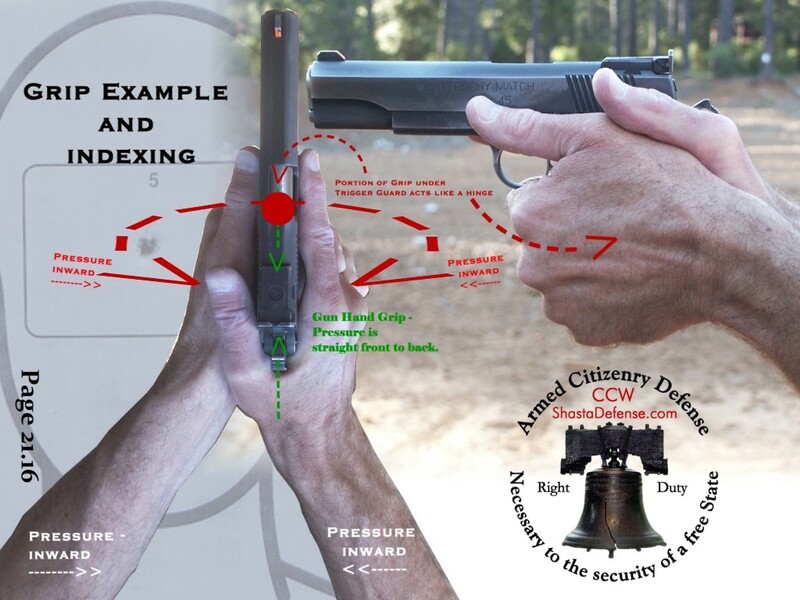 In the ShastaDefense.com CCW initial class they are actively discussed. One of the issues is - who will be the witness against you? Have you considered that the person who you save may testify against you? Yes, maybe that person is against the right of self defense. There are people out there wandering the streets of America who say that they wouldn’t use deadly force, even as a last resort, to save their own life or the life of their spouse or child. Others haven’t yet "resolved" the "issue". Of course, those people have no problem calling 911 and asking a police officer to show up to save them. Thus, the police officer is risking his life to save the life of someone who has placed a zero value on their own life (and that of their family). They don’t even have the moral integrity to recognize that calling someone to risk their life to save them when they refuse to save themselves is hypocrisy of the highest order. On the other hand, it may be due to an electrical short in their brain. From your perspective however, imagine that you save the life of an innocent child who is being beaten over the head with a metal object while the mother is standing right there. Now, in this example, the mother is an attorney and states that she would never use deadly force, even as a last resort to save her child, because she has superior negotiating skills and would use those verbal skills to stop the attack. Yes, this is based upon an actual discussion with an attorney from the Bay Area who told me that. I bet you are glad you aren’t her child! Well, let’s say that you step in and save her child from death. You thought you were the guy in the "white hat". But — instead, the "mother" attorney sobbingly claims that the assailant was in fact ceasing the attack because she was talking him down, and that you jumped in and used deadly force when the attacker was stopping the attack. She says that you were a just a blood thirsty vigilante. Now combine that scenario with a prosecutor who is likewise against people exercising their right of self defense. Can you see being on the receiving end of unjust legal prosecution and civil suits? Of course, your Concealed Weapon Permit would be suspended during the legal proceedings, along with gun confiscation. But, your hell has just begun. The moral "dilemma" can be discussed ad infinitum. However, the reality is that now, it is your family that is left unprotected from the predators prowling your neighborhood. You, as an American have a God given right of self-defense. Americans in Shasta and Tehama counties can still obtain their Concealed Weapons Permit. Education and training is critical, and issues need to be addressed as part of your training. ShastaDefense.com seeks to do just that. The classes and range training are designed to be thought provoking and challenging. The above is merely an introductory article and is not a substitute for taking a firearm safety and training course. Nathan Zeliff, Attorney at Law, is an authorized instructor for Concealed Weapon Permit Courses in Shasta and Tehama Counties; and is a Certified NRA Instructor in the following disciplines: Pistol, Rifle, and Personal Protection in the Home.